Signing his first record contract at the age of 16 this self taught guitar player is no stranger to the stage. Kenny has been nominated for five Grammys and has seven singles in the Billboard top 10. 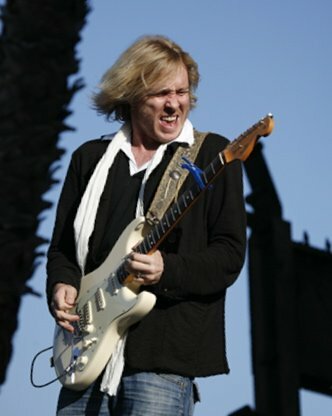 A long collaboration with vocalists Noah Hunt who provided his voice for Kenny Wayne Shepard's signature song "Blue on Black" has helped Kenny create a devoted following. With a steady riff an unforgettable solo and smoky vocals this is definitely a song to be played for generations to come.